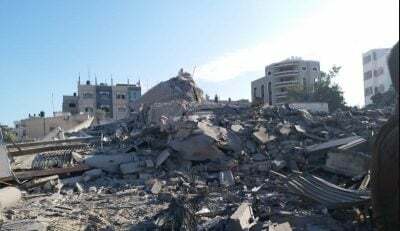 New Israeli Military Escalation in the Gaza Strip: Israeli warplanes carried out dozens of airstrikes, launching 197 missiles at civilian buildings and military sites belonging to Palestinian Armed Groups. On Sunday, 11 November 2018, dozens of Israeli settlers with the Israeli forces’ protection moved into the Antiquities area in Sibistia village, northwest of Nablus. The village’s Council said that around 150 Israeli settlers accompanied with Israeli forces moved into the antiquities area in Sibistia village and stayed there for few hours before leaving. It should be noted that the Antiquities area in Sibistia village was under the Israeli incursions several times.